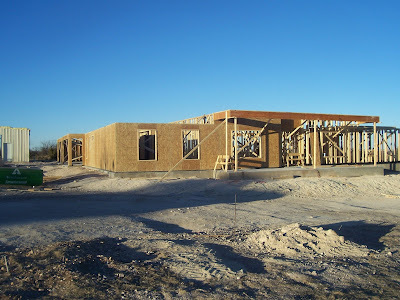 We feel like there is alot of progress being made on the framing. 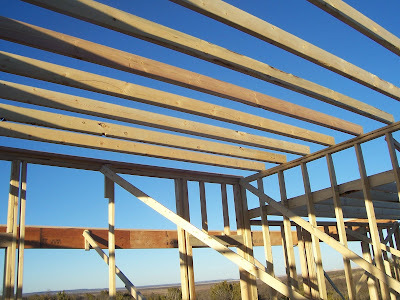 The framers get so much done and know what they are doing. 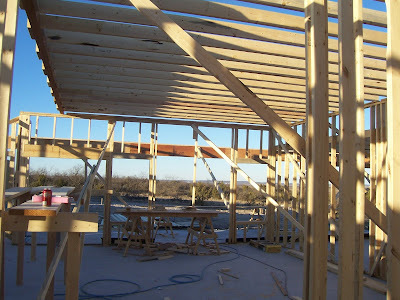 We have a few ceiling joists up and that adds alot of dimention. Amber has been waiting patiently for any of her second story to go up so she can see it but it is still alittle ways away.